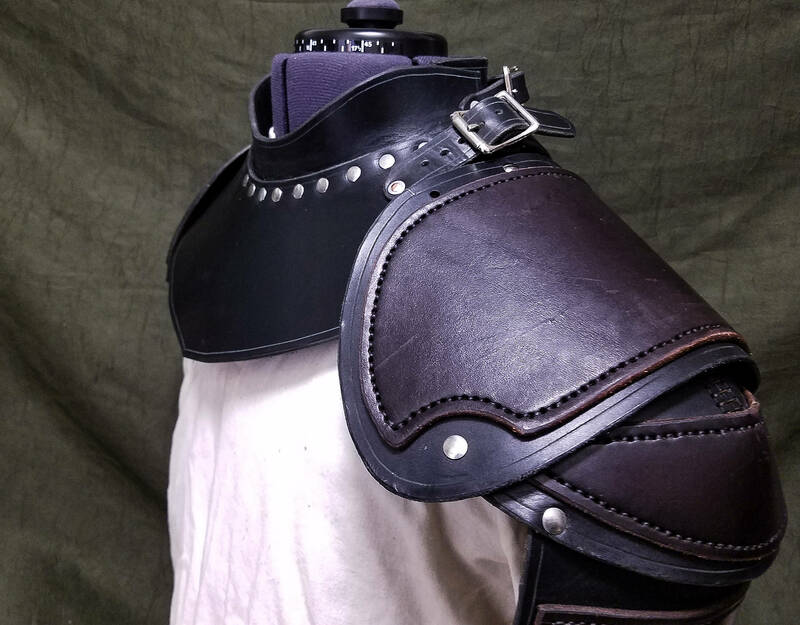 * design update: The neck piece is now attached via a strip of 4-5 ounce Bison leather, allowing much more flexibility and comfort, while still providing protection. 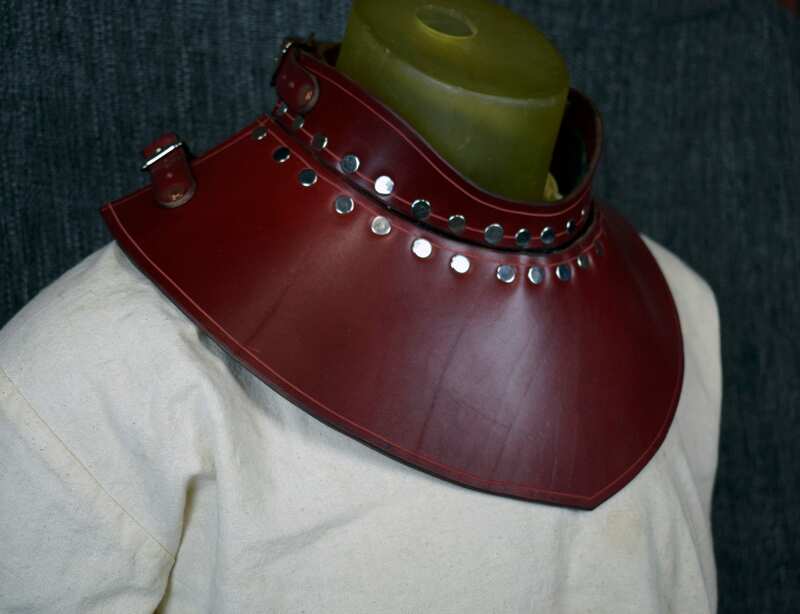 This listing is for a handmade leather gorget. 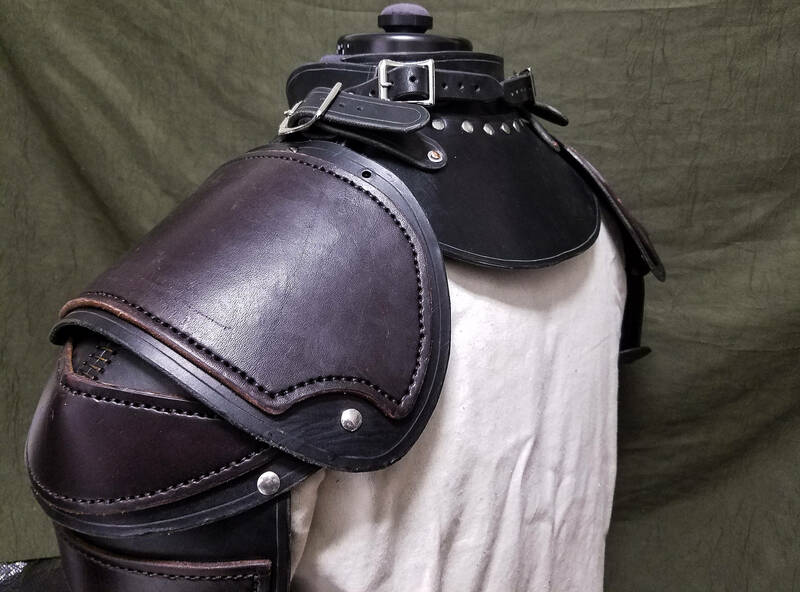 The gorget is made of 8-10 ounce latigo cowhide. 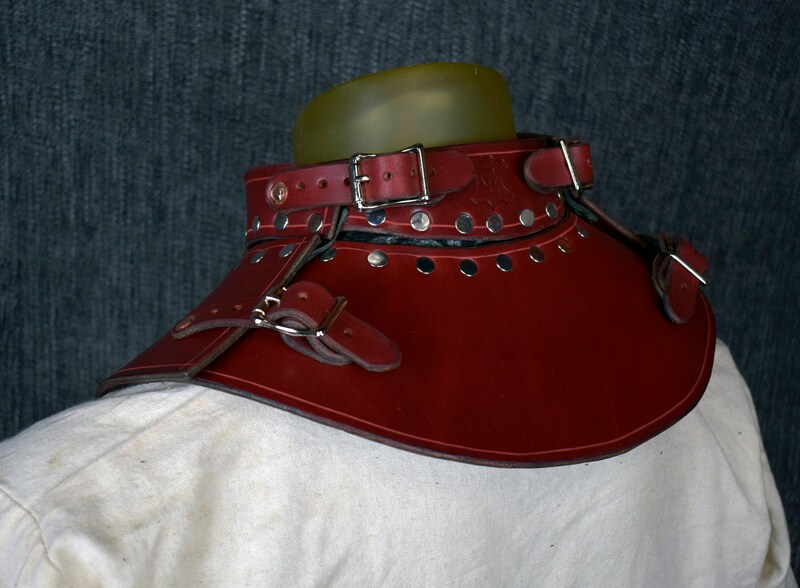 The gorget covers a greater surface area than my other gorget option,and also features attachments for shoulder armor (my style 3 shoulders are shown in the photos) As with all my armor, the gorget has the option of being impregnated with wax, which dramatically increases the rigidity, and therefore the protection to function as armor in reenactment fighting, HEMA, LARP, or whatever your hobby happens to be. 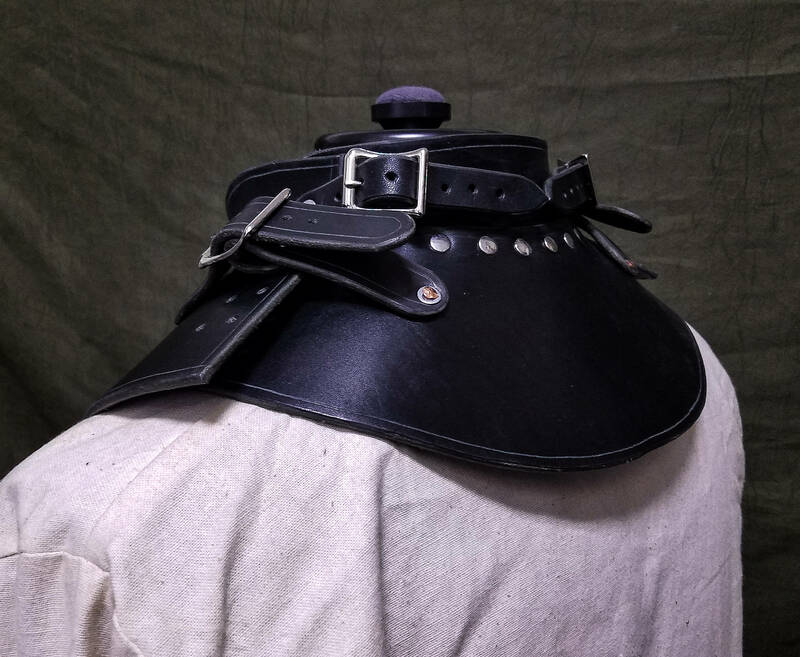 The Gorget is attached with 4 straps, which buckle on each side. The buckles are silver as a standard, but can be made in brass if you'd like. 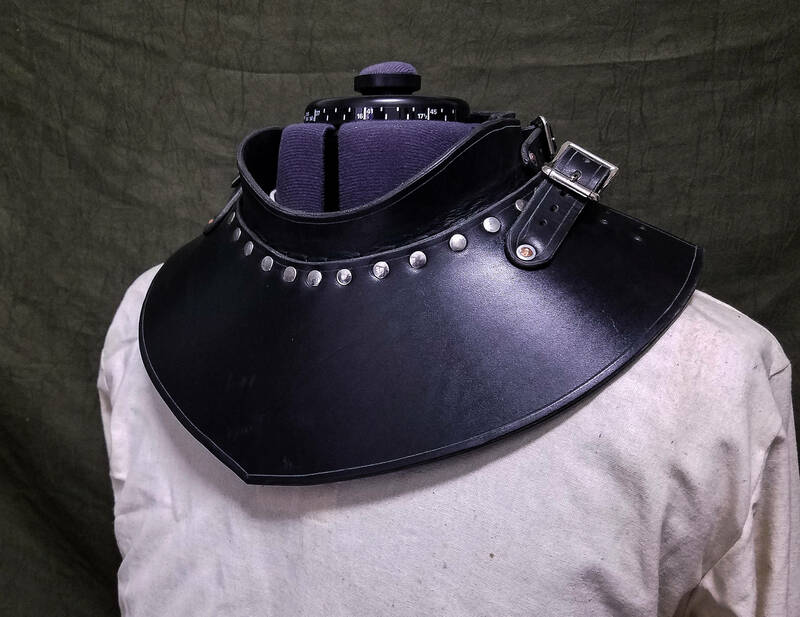 The gorget will fit neck sizes from 14"-18", but if you want a more exact fit, include a measurement of the circumference of your neck when ordering and I will make it closer to your exact size. As always, customization is available, feel free to message me with any questions.